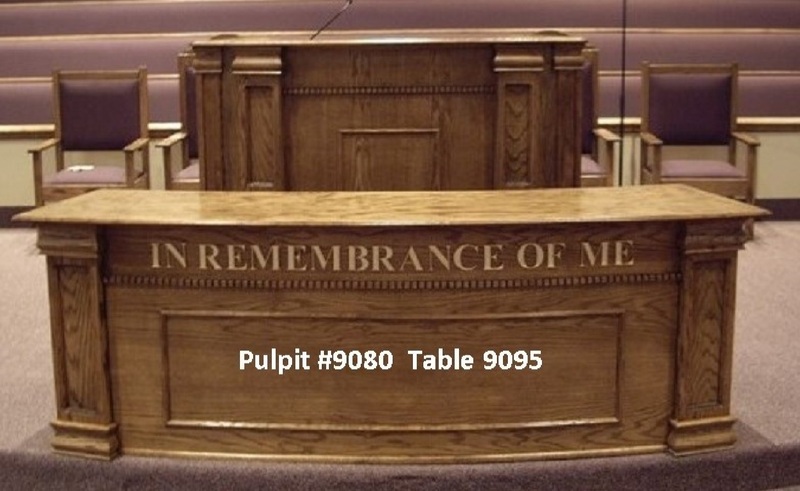 Born Again Pews will create custom tables for all the needs of your sanctuary. 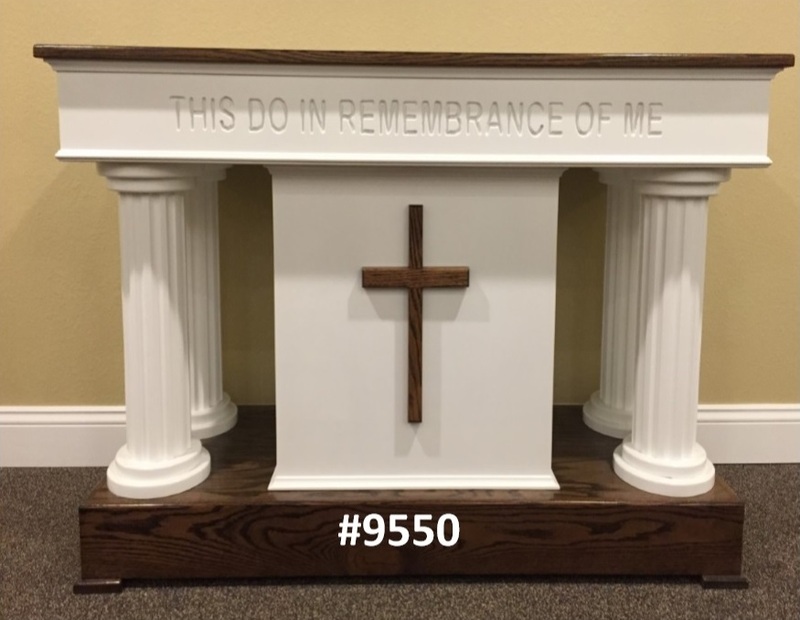 Communion tables, flower tables, and offering tables to match the pews and pulpit furniture will add to the harmonious feeling of your sanctuary. 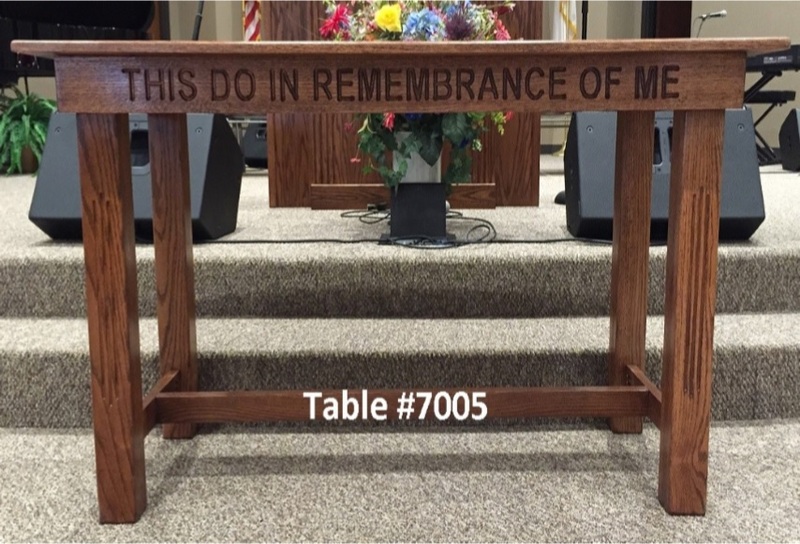 Click on the pictures below to see larger photos. 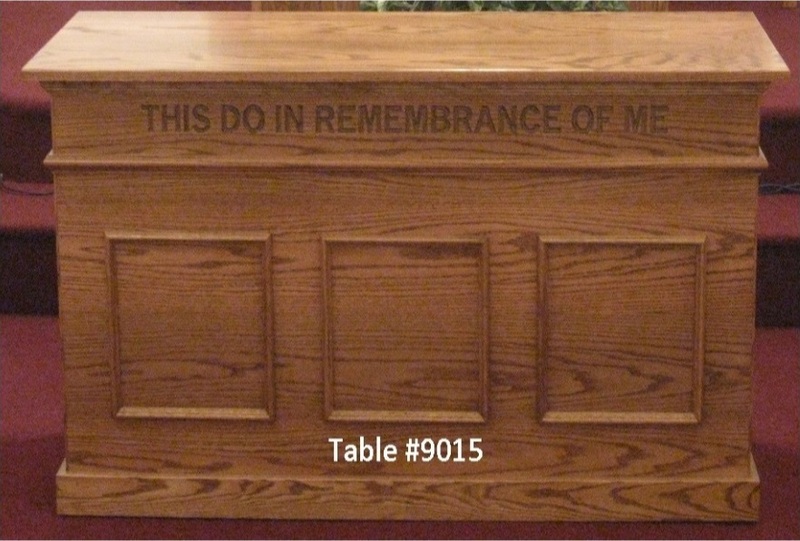 Born Again Pews builds church furniture from solid oak. 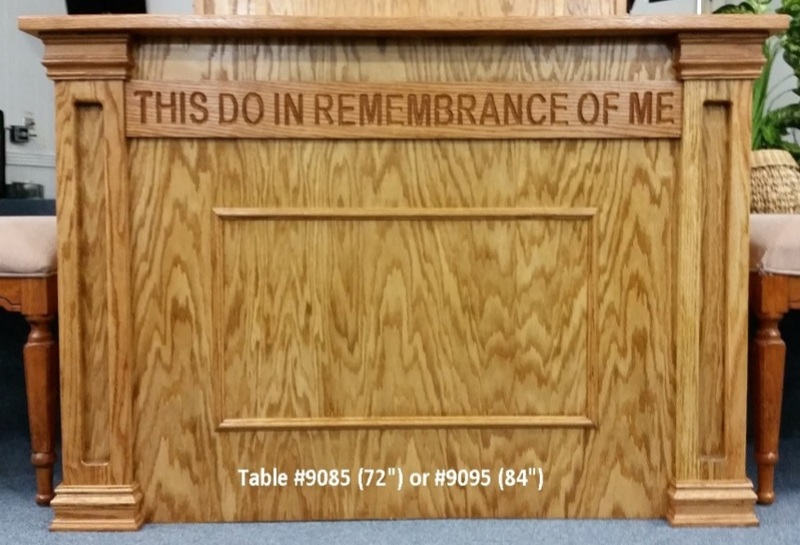 Call 888-993-3539 and our furniture consultant will help you determine the size and style you need for your church. Please also check out our catalog and gallery!